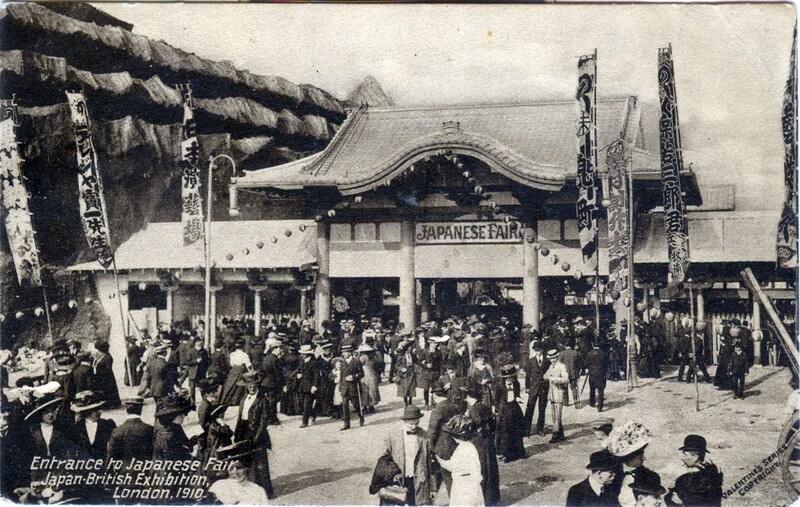 The Japan-British exhibition took place in White City, west London, from May-October 1910, attended by over 8 million visitors. 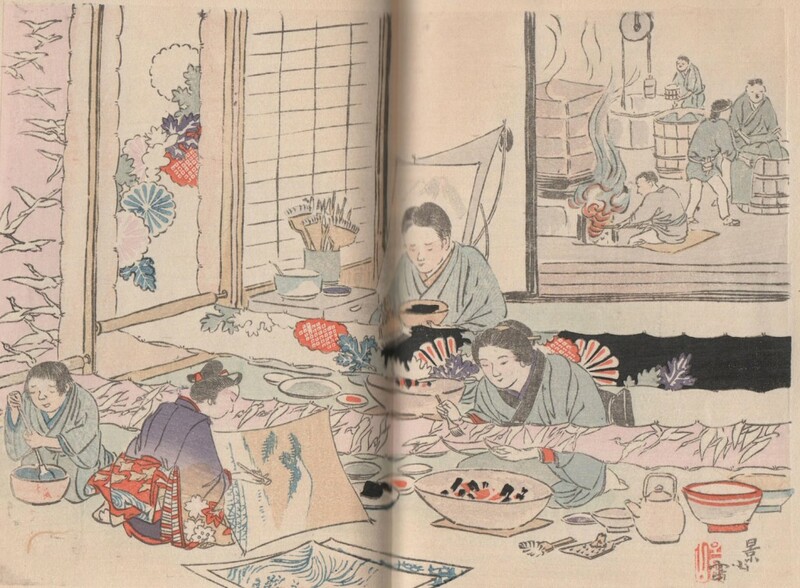 It was the largest international exhibition that Japan had participated in and was driven by Japan’s desire to raise its public image following the renewal of the Anglo-Japanese Alliance. 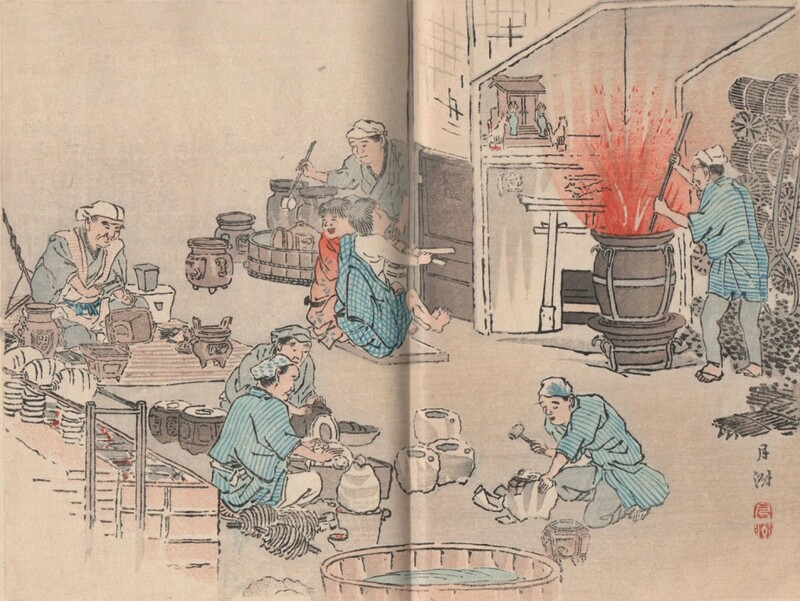 It was also intended to increase Japanese trade with Britain. The exhibition was known as the Japanese exhibition as there was little British content. The display aimed to show aspects of Japanese civilisation and its progressive stance. The display was enormous with over 200 exhibitors and two large Japanese gardens. Exhibits included 12 full size dioramas with wax figures showing the history of Japan; displays on Japanese government ministries, Red Cross and post office; and displays on its so-called colonies (Taiwan, Korea etc.). In addition to manufactured goods, arts and crafts were presented. After the exhibition, most exhibits were sent back to Japan or presented to various institutions. The Chokushimon (Gate of the Imperial Messenger), a reduced replica of the Karamon of Nishi Hongan-ji in Kyoto, was moved to Kew Gardens a year later, where it still can be seen. The Library holds three publications and catalogues produced for the exhibition, presented to the AA by the British Empire League in 1948. One is entitled ‘Kyoto’, issued by the Kyoto Exhibitors Association to the Japan-British exhibition. This book was intended to introduce ‘Kyoto to the peoples of the West’; its preface continues … ‘If in any way it should serve to give a better insight into the history and true conditions of Kyoto, the aim of the book will have been more than accomplished.’ The book covers Kyoto’s history, institutions and businesses, as well as noted places and buildings. The illustrations include several contemporary black and white photographs as well as these beautiful coloured wood cuts that show amongst others, the Gion festival, yuzen dying and work in metal. ‘Kyoto’, issued by the Kyoto Exhibitors’ Association to the Japan-British Exhibition, [Kyoto], 1910.